In the land of the Maharajas, what could you define as truly luxurious? A banquet fit for kings? An afternoon of orchestrated dining? 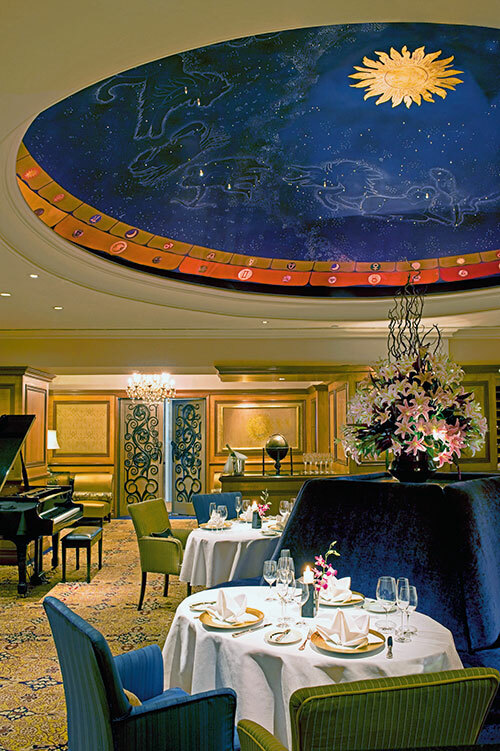 I am having my total luxury moment, here at The Taj Mahal Palace Mumbai, under the glittering inner dome of the country’s finest fine dining restaurant, The Zodiac Grill. Across the table from me is Executive Chef Hemant Oberoi, a live wire of ideas and gastronomic innovation and, to my immense satisfaction, I am his only guest to lunch this afternoon. The Zodiac Grill is celebrating 25 years of culinary art with a special menu of 25 dishes, all new save one (old timers will guess which one immediately! ), for one night only. A menu that took six months to conceive and execute – for that one night only! 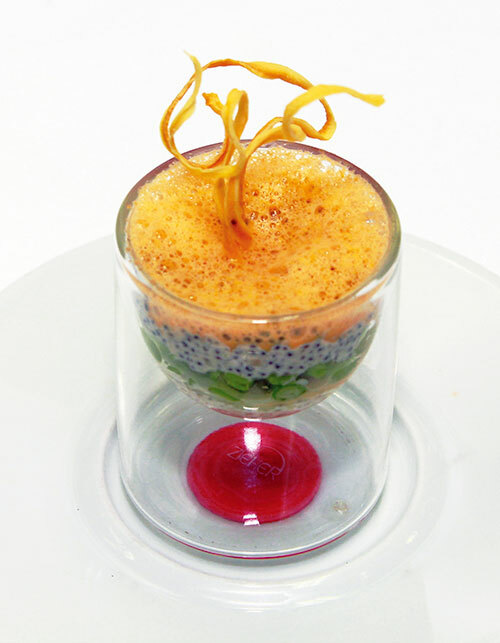 Will Chef Oberoi include these dishes in his regular menu? Probably not, he informs me! This, to me, is the ultimate meaning of luxury. And of course the fact that Verve is here to sample some of it — exclusively. The Zodiac Grill is a restaurant that has never been duplicated successfully. It remains the only fine dine restaurant worth its salt in this city and 25 years ago, it introduced India to the very concept of fine dining. I recall the early days, the excitement, the buzz created by the opening of this now iconic eatery. Liz Kerkar’s team created an ambience that reflected ultimate luxury with the specially-designed carpet that featured the signs of the Zodiac. The finest table linen, china, silverware and crystal ware obtainable graced the tables and exclusivity reigned supreme from the tableware to the uniforms of the staff, as it continues to do. A ‘pay what you think is right’ policy was adopted much to the surprise of customers those first six months and everyone paid more rather than less for their meal. The Zodiac Grill became the centre of conversations everywhere and people were queuing up to get in. The camembert dariole soufflé (yes, the dish served from the regular menu) melted in the mouths of celebrities and gourmands alike and remains today one of the restaurant’s most popular creations together with the Kalhua mousse. The same ardour has gone into the 25th anniversary meal, I can see. 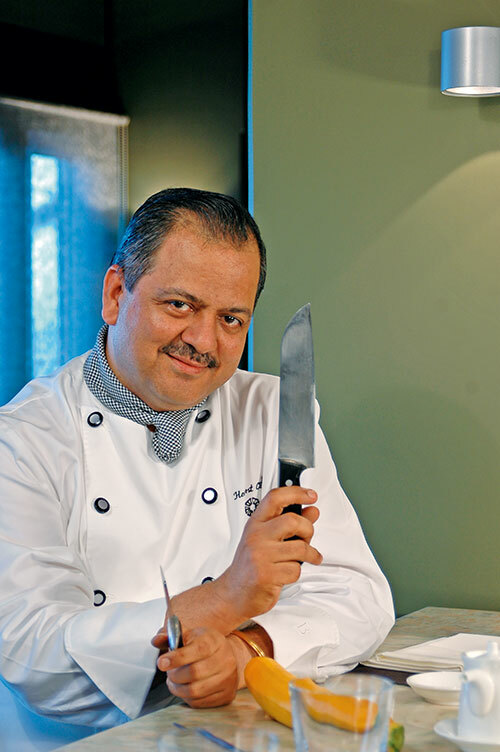 “For a fine dining restaurant to last for 25 years, anywhere in the world, is an unusual thing,” says Chef Oberoi. “And no one has ever served a 25 course meal.” He asserts that not one item, meat or ingredient, is repeated, even the crockery is changed with every offering. The first dish is placed before me and it looks too good to eat. A bouquet of fresh mini vegetables, perfectly crunchy and full of flavour, in a mini pail of edible soil with a mini shovel beside it. The most innovative salad that I have ever witnessed. I crunch the vegetables and dig into the ‘soil’ for added flavour. Next up, arrived two slices of white truffle sandwiching a cheese mixture in another innovative presentation. Again, the bouquet of flavour hits my senses. 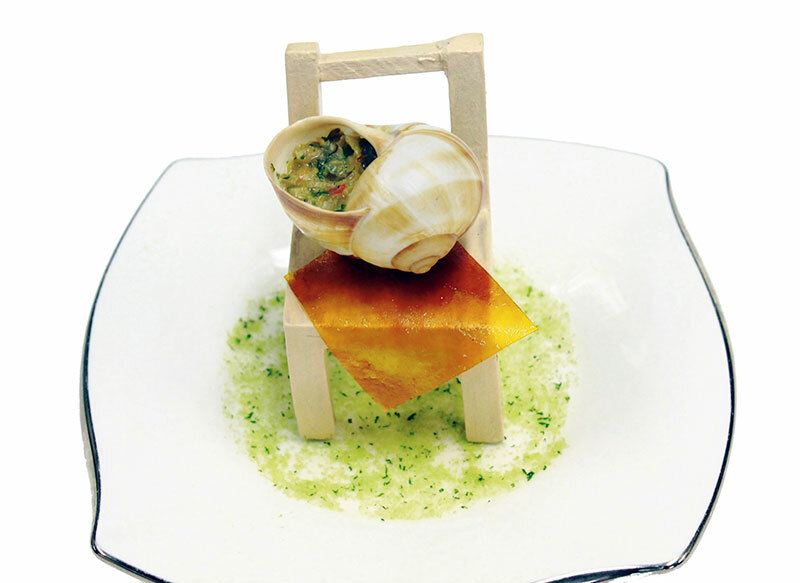 The escargot arrives sitting in a chair, not chewy but perfectly cooked with more than a hint of parsley. The vegetarian version is a stuffed turnip shaped like an escargot. The lobster soup is served in a container that fires the stock and cooks the meat at the table itself. Before I can wonder if this is getting a little gimmicky, the lobster meat melts in my mouth, the texture is perfect and fresh to taste and is coupled with the tiniest croissants in a little basket. 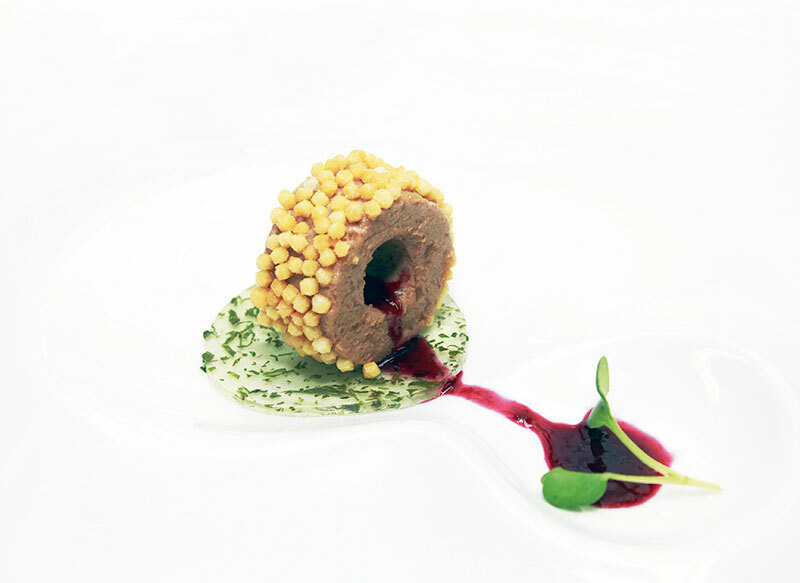 To follow, a duck pate rolled in crispy rice and served with a hibiscus sauce tantalises the taste buds. While the meal envisions at least four desserts, today I am served one where blueberries are the star with blueberry caviar giving a passing nod to molecular cuisine. Divine! I am left astounded at the presentation as well as the flavour of each dish, making this an event of drama with a touch of humour, as well as gastronomy…. Of the other dishes, I can only guess at their specialness, as I leave on a happy and fulfilling note.